Well, this is my first real post on my new domain space. Unfortunately, I think I lost a few of my readers in the transition from wordpress, but hopefully they'll be back soon. In the meantime, welcome to all the newcomers and I hope you enjoy this tutorial! 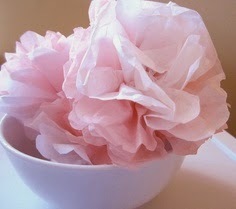 I think paper flowers are my favorite craft. They work for a dorm room, for gifts, and are a great craft to do with kids. There is a ton of room for variation and the result is always beautiful even if there were some small mistake along the way. 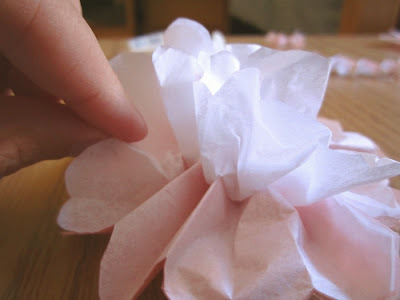 This tutorial is for the very basic paper flower. 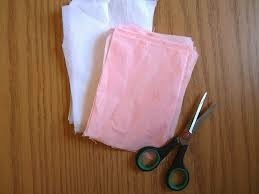 I cut my tissue paper into 4" x 5.5" rectangles. From my experience, the bigger the rectangles, the less 'fluffy' the flowers will look. 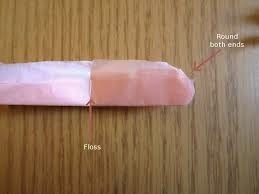 this means you'll have to add more layers of tissue paper. Don't worry about how even your rectangles are. As long as they sort of line up, you'll be fine. My general rule of thumb is five sheet per flower. I use this especially when I'm working with a big group and want to make sure there is enough. But if you're doing this just for you, add as many layers and as many colors as you like. 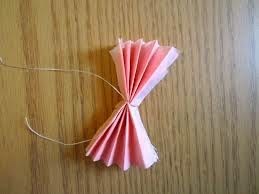 The accordion fold is used for paper flowers. 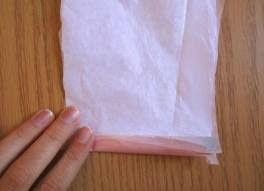 It's the same fold that is used to make paper fans. First, fold up from the bottom about .25", flip stack over and fold up again. Continue this process until you get to the end. Now you have a finished flower and there is a lot you can do with it! 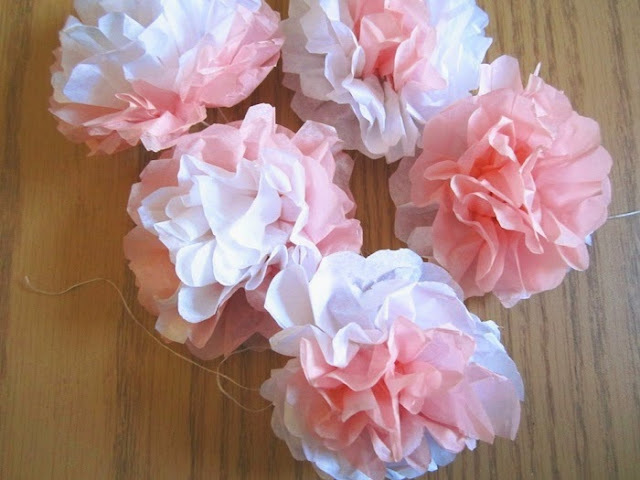 -Paper flowers make great gift toppers! There really is so much you can do. If you guys make any of your own I'd love to see what you do with them! They are seriously that easy to make? Ah I'm definitely going to give this a try. 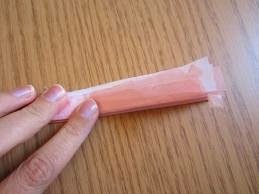 The pink is just lovely! 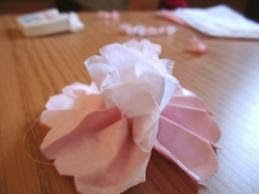 i keep seeing this paper flowers everywhere and i never tried to do one before your post. i just made one and i am in love! they are easy to make and oh so fully and beautiful! thank you! Thank you! I'm glad you gave them a try - there really are so many things you can do with them!